How do we know the gas vans existed and the Nazis used them to murder Jews? For example, Holocaust denier Santiago Alvarez claims that the primary documents dealing with the construction and use of the gas vans are “ambiguous” and do not prove the gas vans ever existed. Primary documents about the design and use of the gas vans survived the war. These Nazi documents prove that gas vans were designed and constructed in Berlin in late 1941 and early 1942. The Nazis sent the gas vans to the Chelmno death camp and the Einsatzgruppen units in the occupied Soviet territories. There is an entire file of Nazi documents related to the gas vans, but the most important documents are two letters concerned with the construction and use of the vehicles. The difficulties of operating gas vans in bad weather. The difficulties of maintaining the gas vans under rough field conditions. The lack of proper training and discipline by the drivers of the gas vans. Becker specifically says “places of execution,” “persons to be executed,” and “application of gas.” He notes that the leaks were affecting German drivers’ health and he offers recommendations so that “death comes faster” for their victims. It cannot be clearer—the Nazis used the gas vans to murder human beings. Letter dated June 5, 1942: marked “Top Secret,” from Willy Just to Walther Rauff. Fourth, Just proposed that to help with the cleanup of vehicles after an operation, the new vans should have a watertight drain about 8 to 12 inches in diameter in the floor. The drain was to be equipped with a “sieve” so that “thin liquids” will drain out, but “thicker dirt” will be collected so it can be quickly removed later. Ingrid Weckert, a German Holocaust denier, claims that this letter does not prove “clearly and unequivocally” that the “load” was human beings. However, what load of goods—other than living human beings—“pushes hard against the doors” of the van as it seeks a last breath of fresh air? What load of goods—other than living human beings—requires a drain to siphon off “thin liquids”? What load of goods—other than living human beings—requires that a light be protected with a steel grid? Holocaust deniers assert that primary documents about the gas vans are ambiguous. This is clearly false. Surviving Nazi documents show that they were designed and constructed in late 1941 and early 1942 to assist in the mass murder of Jews and others. Santiago Alvarez and Pierre Marais, The Gas Vans: A Critical Investigation (Barnes Review, 2011), p. 273. 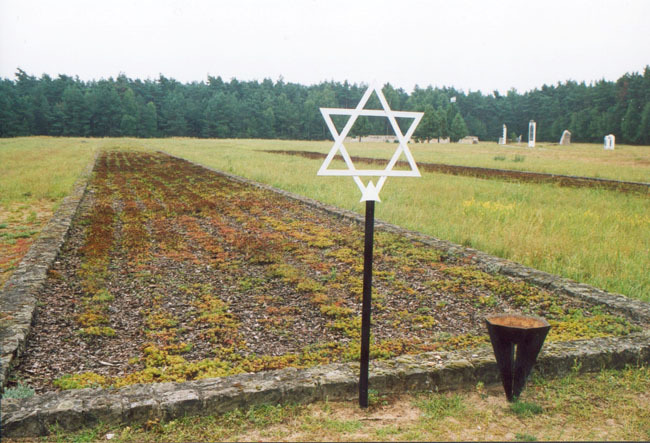 You may read the text of the Becker/Rauff letter at http://www.holocaustresearchproject.org/einsatz/rauff.html. You may read the entire text of the Just/Rauff letter and see the scanned document at http://www.phdn.org/archives/einsatzgruppenarchives.com/documents/gaswagon5.html. Ingrid Weckert, “The Gas Vans: A Critical Assessment of the Evidence” (3.3.2 RSHA ‘Note’ of June 5, 1942) at http://vho.org/GB/Books/dth/fndwagon.html.